The expected in-stock date is Thursday, May 30. All snack enthusiasts will love this collection of classic flavors! 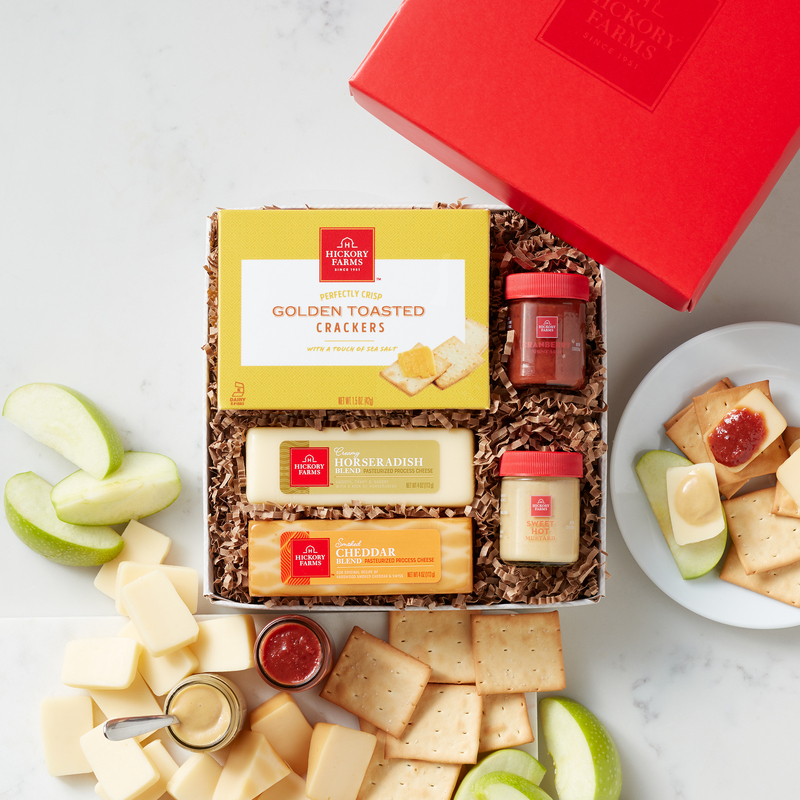 Featuring Smoked Cheddar Blend and Horseradish Blend cheeses, Cranberry and Sweet Hot Mustards, and Golden Toasted Crackers, this gift lets them stack up tasty bites for the perfect snack. 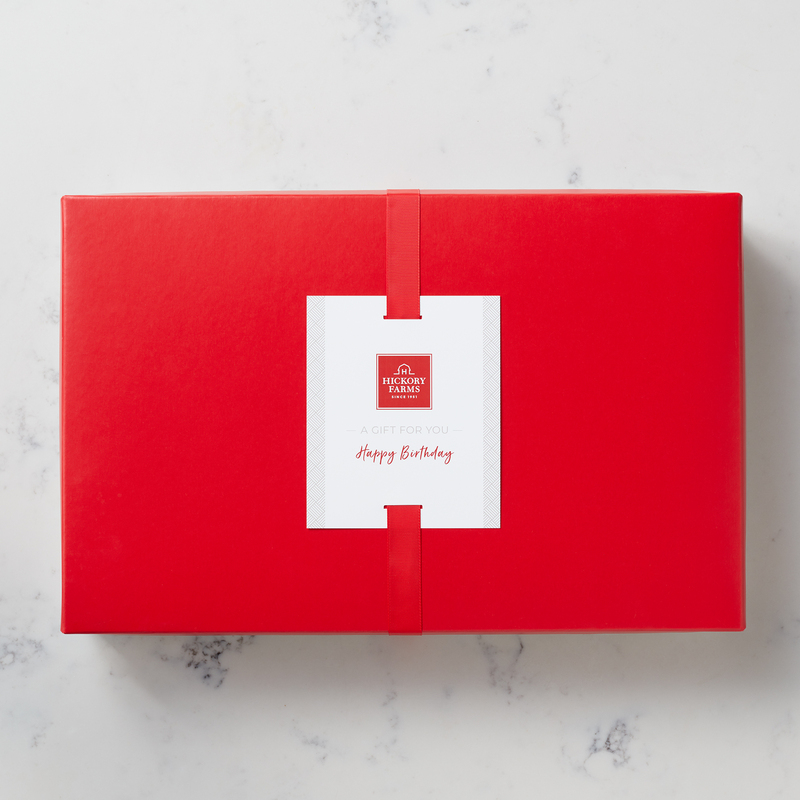 Plus, it's a meat-free gift so everyone can enjoy!